Who said spelling wasn't important? A hearth is the floor of a fireplace. 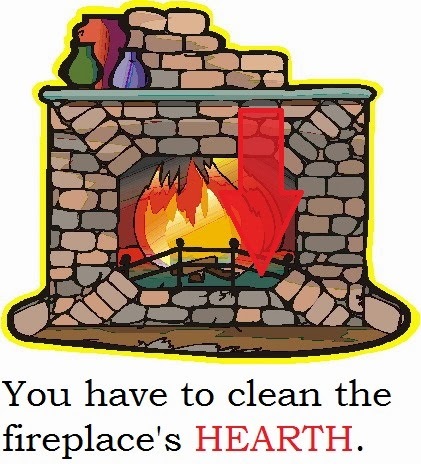 The arrow in the picture to the right is pointing to the hearth. It isn't a word we use a lot in English, but if you ever read Cinderella they talk about the hearth. 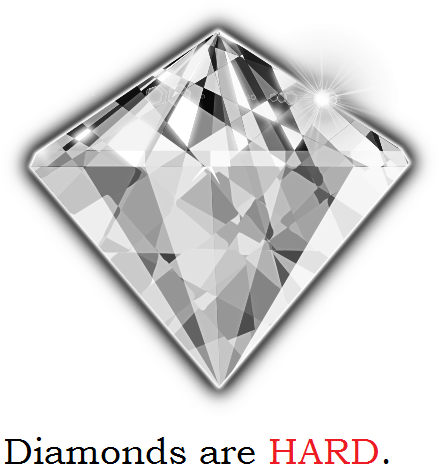 Hard has different meanings. It can mean difficult, or not soft. This is a word we use a lot in English so you should be sure you can recognize it and pronounce it properly. Finally we have the word they usually wanted to use: hearts. Hearts are part of our body that pump blood and are very important to living. 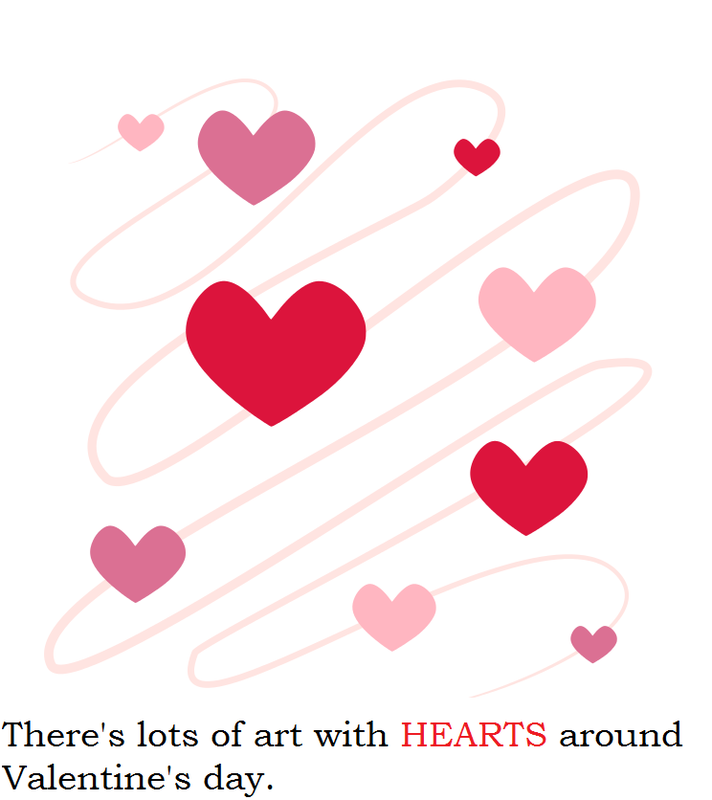 However, we also use hearts to mean love. The easy way to remember this is the hEARTH has the earth (ashes) in it, harD is for diamonds, and there's lots of art with heARTS. Hopefully that makes your students have a less confusing Valentine's day. After all, sending a note that says, "I love you with all my hard" just doesn't send the right message. Speaking of message, as another teacher pointed out be sure your students know the difference. There are two pictures of dogs here. One, is a dog with a massage. The other is a dog with a message. Mixing them up and promising to "massage" someone instead of message them could be a bit awkward! the information relating to different words is really helpful to all. Should we really worry about food allergies? 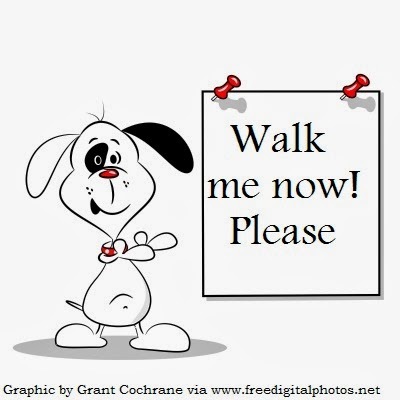 Can I make it as a freelance teacher? Other Common Spelling Mix ups!